Nobody does Las Vegas golf better than we do. When it comes to saving you time and money on golf courses in Las Vegas, nobody does it better than VIP Golf Services. We provide several options for researching and reserving all your Las Vegas golf tee-times in one place, and at the lowest possible rates. We book anything from a single golfer for one day, eight golfers for three days, 20+ golfers, and full course 144 golfer buyouts. We do it all! 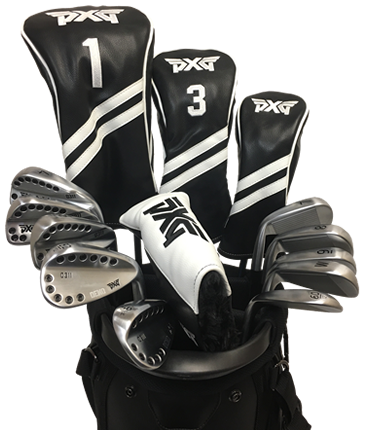 We also provide quality golf club and equipment rentals delivered to your hotel, transportation, female caddies, and many other services. Call us today, toll free at (877) 669-2847 to take advantage of our local knowledge with NO booking, change, or cancellation fees! We offer discounted Tee Times at 50+ public golf courses and private country clubs. We can package these together with golf club rentals, transportation, caddies, etc. saving you even more! Do NOT book a Tee Time anywhere without speaking with one of our golf professionals beforehand ensuring you are getting the best rate, service, & course conditions! We will MATCH or BEAT any comparable lower priced tee-times found online or quoted by a competitor. Our Golf and Rental Club Packages cannot be beat! 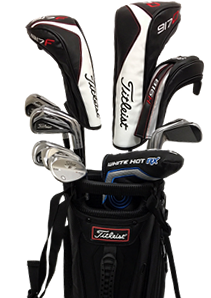 We offer top quality Golf Club Rentals in Las Vegas! VIP Golf Services delivers our rental clubs directly to your hotel’s bell desk. Call us about golf, rentals, and multi-day discount packages. Use this option to request your FREE, No Obligation Las Vegas Golf Package Quote. Specify your Las Vegas golf package quote options (i.e. golf days, courses, transportation, hotels) and a VIP representative will begin working immediately to have your quote ready as quickly as possible. If you are bringing a group to Las Vegas and want the complete VIP golf experience, we offer FREE Event Coordination to fit any size group. This service includes Transportation Coordination, Tournament Setup & Scoring (personalized score cards, cart signs, score board, etc.) Food & Beverage Planning, Rental Clubs, Awards & More. Justin: I rarely take the time to thank people for their good work, however, you are outstanding at your job. You made this golf trip more enjoyable than normal! Everything was hassle free and organized. Thank you for all your service and we will be back next year! Jason, Good morning. I trust all is well with you and your VIP colleagues. What can I say? Your customer care and attention was and is awesome. Up there with that, all the golf courses you recommended were the best bang for the buck. The course personnel were all awesome. Check-in was quick… Check that box. The golf courses were all awesome… Check that box. Our all around experience with VIP Golf was awesome… Double Check that box. Jason, on a scale of 1 to 10, VIP Golf is a TEN. Thanks for your Customer Care. Paul, I wanted to let you know just how much we enjoyed our golf outing in Las Vegas last month. Not only was the weather perfect, the service you provided was “top notch”. Never having played there we had only ideas as to where we might like to play. Your professionalism, along with your local knowledge, really made this one of the most pleasurable golf experiences. Your expertise in helping us select the nicer courses helped make this such an enjoyable time. This combined with the fact that you have better green fees at NO additional cost to the golfer. We are planning on doing this again next year and look forward to using your services. I will certainly recommend you to anybody going to Vegas to play. This is the third time I have used VIP Golf Services to book a golf outing. I have used the company for three very different types of trips, and no matter if I was booking 4 rounds for 16 guys, or a weekend in Vegas for my wife and I and and a couple of friends the service was remarkable. Each time I had to make golf plans I had different scenarios that presented different challenges, and each time the people at VIP were on it handling anything and everything I threw their way! From the club rental program to the online reservations this is an awesome way to book a golf adventure! Thanks for making me feel like you truly cared about how the golf outing turned out, it was/is much appreciated! I will use VIP for ALL of my golf bookings every time I need to without hesitation! Hi, Just wanted to let you know how much we enjoyed our VIP golf experience! This is the third time we have used your service and have had a great experience every time! The convenience of having the clubs ready to go at the bell desk and being able to drop them off there when you have completed your rounds is genius! The first 2 times we used VIP golf we went with course recommendations from your staff. This year we took advantage of an email you sent out that had deals that included golf, cart, range balls and lunch and 2 drinks! It was great. We golfed at Las Vegas golf club and Rhodes Ranch. Check in couldn’t have been more simple. We just said we had a tee time made by VIP golf and were given our vouchers and we were off to the first tee. We had some extra time while we were in Las Vegas so we stopped by your office. Unfortunately we only got to meet one of the staff but it was nice to see “behind the scenes” of your operation. I literally recommend you guys to everyone. I pass out your cards on the courses in Vegas as well as in the Chicago area. Continued success to you. Hi Jon, From clubs to course booking everything worked perfectly! Appreciate your advise on booking larger Uber car. We will be using you guys more in the future. Perfect cost effective solution for 1 Vegas round. Makes no sense to drag clubs and pay bag fee for a single round. Our newsletter is all you need to stay current with Las Vegas golf. Keeping you updated with all the happenings, amazing savings, coming events, and fun golf entertainment included. You do not want to miss this! Sign up Today! Our archives are dedicated to giving you some things we feel can possibly brighten up your day or at least make you a little more knowledgeable about the wonderful game of golf. With each newsletter we will provide you with swing tips, funny videos, golf terminology, rules, and so on. If you haven't yet signed up for our newsletter, do so today so you do not miss out on the fun.